It’s a fact: Most of us can’t lose weight while we are stressed. Worries and pressure take over, exhausting you emotionally and physically. And modern life is full of continuous stress and anxiety. We set out to design Absolu primarily as a de-stressor and metabolism boosting aid to help actively shake off those stubborn pounds. But as a result of the high quality and high bioavailability of the ingredients in Absolu it achieves so much more. Absolu, the milder alternative to Absolu Plus, can be used to support you throughout the morning and afternoon. It gives you energy, helps you stay calm and keeps hunger at bay. It can reduce bloating and aid digestion. It has gentle yet effective cleansing which you can safely use at work and not worry about side effects. And a constant slow release of natural caffeine will enhance your workplace focus and recall. Best of all, it can help stimulate and sustain your weight loss. Unique tea-cake preparation ensures each infusion has the perfect balance of ingredients, which you don’t get with loose leaf tea detoxes. All our products aim to deliver high performance results without compromise. Follow any of our macro-tips which require little or no planning and enjoy your daily infusions of Transformitea to see a real, long-term transformation. We understand what it’s like when you have to get up early every day and fight the good fight. We can relate to working long hours, staying late and suffering the ensuing guilt from snacking. You need an edge over your peers – a boost to help you maximise your focus and succeed. You also want to get, and stay slim even when don’t have enough hours in the day to work out. Absolu De-Stress and Weight Management tea can be used either in the morning in place of Absolu Plus as a milder morning chill-out and detox or after lunch to help digestion and focus. We have chosen only safe ingredients which are suitable for prolonged use and are free from Senna. Absolu is also Gluten free, GMO free, and packed in a nut free environment. Natural polyphenols in Absolu smart teatox act as stress busters and help alleviate mood swings and anxiety. They can also regulate cortisol levels, the hormone for managing stress, which in turn allows the body to lose weight. Absolu, through slow release of natural caffeine, can sharpen concentration and improve mental alertness. It can be taken in the morning and afternoon and it is an ideal tea to help you get through a tough day’s work while on a reduced calorie intake. Hibiscus flowers give a naturally sweet and slightly tart taste. This can help stop cravings for sugary snacks while giving you a fuller feeling. It can also visually enhance your weight loss by influencing how aldosterone, the hormone that regulates water and electrolytes, affects your body. Our smart tea can stimulate digestion for better nutrient absorption from the foods you eat, while also protecting your liver. This teatox can detoxify, cleanse and purify, and can also help with acid reflux and in reducing cholesterol. Absolu contains a powerful anti-ageing botanical known for increasing skin elasticity which can give stunning natural younger looking skin. Through it’s purifying properties, it may also help treat acne, eczema and skin irritations. Our teatox can help you burn fat faster by raising your metabolism for up to two hours after drinking. Daily consumption promotes weight loss and can reduce obesity by accelerating the process of lipolysis, enabling your body to burn more fat. Boil your water to 100 Degrees Celsius, and allow to sit for 4 to 6 minutes until it reaches about 85 degrees. Add 1 x Absolu mini tuo to your pot or french press. Pour over the water and leave to infuse for at least 3 to 5 minutes. A longer wait will result in a more potent infusion coupled with a stronger flavour. Pour and enjoy. Leaves can certainly be infused a second time, or more. 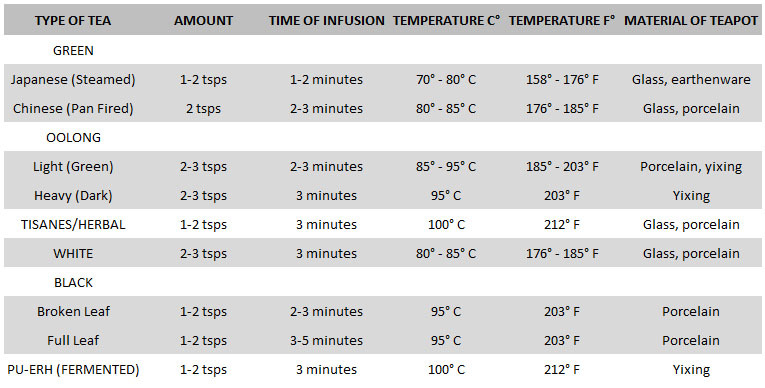 The dimensions of flavour and effect can change significantly depending on how many infusions you do, lessening with each subsequent infusion. The Chinese word for Oolong tea means "black dragon tea" and Oolong is one of the dominant flavours in this tea. The flavor profile contains hints of flowers and sweet dates, with straw, pepper and a touch of grilled vegetables, making this tea a pleasure to drink. Add 1 tea cake to an average sized teapot, or a full flask or bottle. Our Mini Tuo tea cake may be too strong for a normal sized single cup. Infuse in water boiled and reduced to 85C for 5 minutes. Varying brewing time can increase or diminish the de-stress effects. 3.5 out of 5 – in green tea terms. Tea has anywhere between 15-70 mg of caffeine per cup. Coffee tends to have 100-175 mg caffeine / cup. Oolong has an average of 37 mg of caffeine per cup (approx 250ml), compared to 50 mg in everyday black tea, and 100 mg-175 mg in coffee. Oolong tea has more caffeine than green tea but less caffeine than black tea. Remember that tea is a natural product and this is only a reference. Longer infusion will increase caffeine levels. Pouring off the first infusion can reduce caffeine levels by up to 80% but will also reduce many of the benefits of Absolu. The evidence has been mounting that the amino acid L-theanine, found in the leaves of our teas, may have a calming effect on the mind — an effect that potentially counteracts the caffeine’s anti-soporific effects. Two cups of Absolu are expected to contain 50-150 mg of L-theanine. Big pack, lots of leaves per piece, a bit messy in work but I prefer this to my old detox because this definitely perks me up. Gave up on coffee in the afternoon and not much difference, so definitely worth a go when you want a little detox. Just got it, like the taste of your evening tea – thanks for samples. Love it. Got two pack during promo offer and almost finished. I am on 5:2 diet and, my God, this saves me on the 2 days when I am ravenous. Also if I drink it before lunch it does make me feel full faster. All in all – I managed to reduce the porion size compared to before and am half a stone down! Wooohooooo! Bought it because I tried senna tea before and almost ended in hospital. This is far better and I drink it together with Nuit. I was surprised to get compliments of how I looked after the first month. Definitely worth buying again. Did not like the taste. Maybe I overbrewed it but it tasted too strong. As with other teas just drinking it is not enough. Wish i could see more results for my money. Tastes good. Easy to order, and speedy delivery. I did a bit of research before committing to this purchase and am convinced that given the volume of product and ingredients this is by far the best option you can get to replace a coffee if you care about your health and want not only to lose weight but to get healthier. I tried Absolu Plus and calculated the cost per cup – it’s cheaper than a takeaway coffee. Very impressed! Can’t praise enough – does exactly what it says: I had it for three weeks now and can see a massive improvement in my work, my state of mind and my energy levels – I complete projects in half the time and have enough energy for the gym, never had this effect with my double/triple espressos. I use honey instead of sugar and it tastes delicious! So happy I came across this little gem. Pricey but worked for me so will get more! Any chance of a discount? I wish it was easier to make as bits float in the cup if you drop the tea in, you definitely need a pot or a strainer. Apart from this complaint – everything else is great. I have some anxiety problems and when I contacted the customer service I was advised to start with Absolu. I drink it all day from morning till about 4pm and must say I do feel less stressed, better coping with tedious tasks at work and am less tired in the evening. Plan on trying Nuit next. Works!!! I have never been as productive in my life. The days fly and I get so much done. BRILLIANT!!! Drink it all day and no hunger, pure focus!! Delivery was 2 weeks. It was out of stock. Tastes nice surprisingly, first one I ever tried that tatses nice. And I normally have trouble in the bathroom but this really helps right from the word go. Had to wait for the delivery for ages because it was out of stock. Packaged well and easy to infuse – no teabags. The tea cake is big and you can see really big leaves and flowers floating as it infuses. Smells good. Not sure about weightloss, I am a bit too busy to do a diet so just trying to see if this works. So far can say it definitely gives a lot of energy. This is by far the most expensive tea I ever bought in my life. The only reason I gave it a try because it has the biggest weight per pack and 30 days makes it on par with SkinnyMint or Bootea per brew. Turned out Absolu has no laxatives so I was ok drinking it all day. Smells amazing and great pachaging. Unusual shape – like a chocolate praline and when you brew it there are beautiful flowers floating about. I got two solid brews out of 1 teacake. Taste: 5 out of 5. Hunger gone – 5 / 5, Weight lost in 2 weeks: 5 lb with no other changes, just managed to skip snacking while drinking this tea and no latte/cappuccino in the afternoons. So another 5/5. Definitely worth it for me! Smells great, tastes fab. Must try the other one too. A colleague recommended this to me and I am very happy with the product. I use it in the morning and it helps me on my fasting days (5:2). Two big teapots from one tea ball and I am not hungry, but I also noticed that I have much more focus. Before I needed a coffee after lunch or an energy drink to keep working – this is like rocket fuel. Losing weight has been my new year’s resolution for three years in a row now, but this year I’m actually doing something about it! I’ve started going to the gym after work and taking different supplements is all part of my lifestyle change. I want to start next year feeling slim and healthy so I decided to take the best I can get my hands on to help me lose weight through water loss. Just starting on this hence 4 stars, need to see the result, but tastes pleasant – will update this review later. tasted like nice herbal tea nothing bad like some teatox remedies. I’ve taken supplements before to boost my energy through the winter and to keep me healthy during the summer. I decided on trying this detox to help me lose weight with water loss and to boost my metabolism. I’ve seen improvements, but the best bit for me is that it is easy to drink. I’ve tried other detoxes which sometime taste horrible, so this one is great! Haven’t noticed a huge change yet but hoping to get rid of some water weight once I start my fitness. Great product. Sorted me out after over eating during holidays.